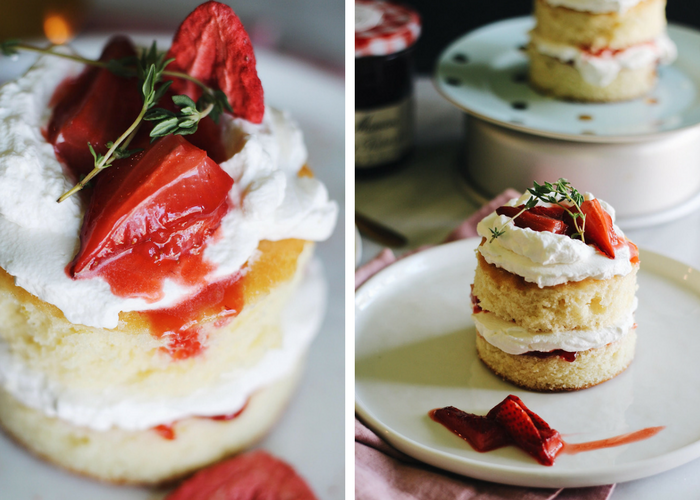 Lovely mini lemon cakes are infused with a fresh thyme syrup and layered with whipped crème fraîche and roasted strawberries. This post is sponsored by Bonne Maman. In the spirit of Mother’s Day approaching this weekend, we’re making dessert. But not just any dessert. We’re making cake. Delicate, fluffy, layered mini lemon cakes, worthy of any special occasion but still beautifully simple. My mom loves anything with whipped cream. My parents are classic connoisseurs of whipped-cream-in-a-can. They always have a can in the fridge, ready for topping ice cream or hot chocolate. Anytime I make homemade whipped cream, it is a notable event. For holidays I’ll suggest making a dessert accompanied by whipped cream, and their eyes will instantly light up. “Homemade whipped cream?” they’ll ask. Making whipped cream is really one of the easiest things to do. The only skill required is timing (when letting a mixer do all the work) or a bit of elbow grease (if doing it by hand). But for the sake of secrecy and seeming like an amazing daughter, I won’t tell them just how easy it is. Homemade whipped cream has become my superpower. Growing up in northern Jersey, we had a number of Italian bakeries within walking distance. 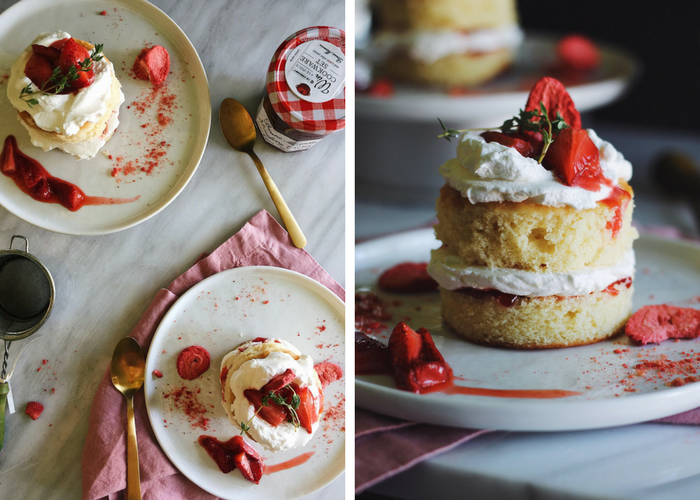 One of our favorites sold a Strawberry Shortcake Cake that we were obsessed with. Any excuse to get it we would. The cake was fresh and delicious, but it was also very simple. 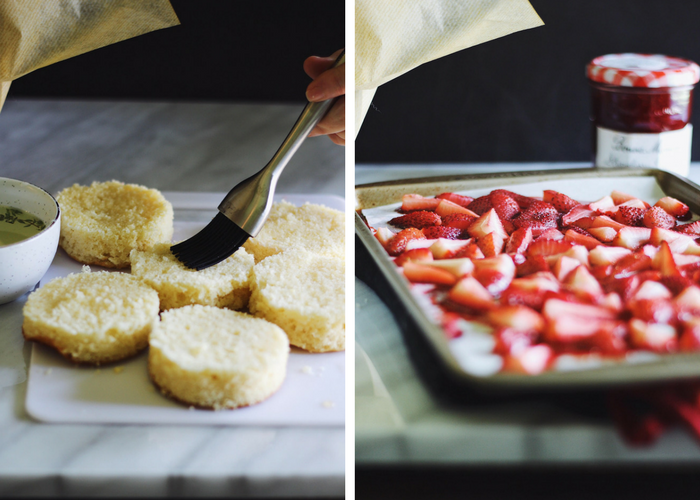 Just moist vanilla cake, fresh strawberries, and layers of pillowy whipped cream. My mom loved it. This recipe is kind of an ode to that cake. It’s infused with spring. It’s show-stopping, but still entirely simple at its core. A sweet lemon cake gets baked in one pan and then cut into rounds. It gets brushed with a thyme simple syrup that can be made ahead. 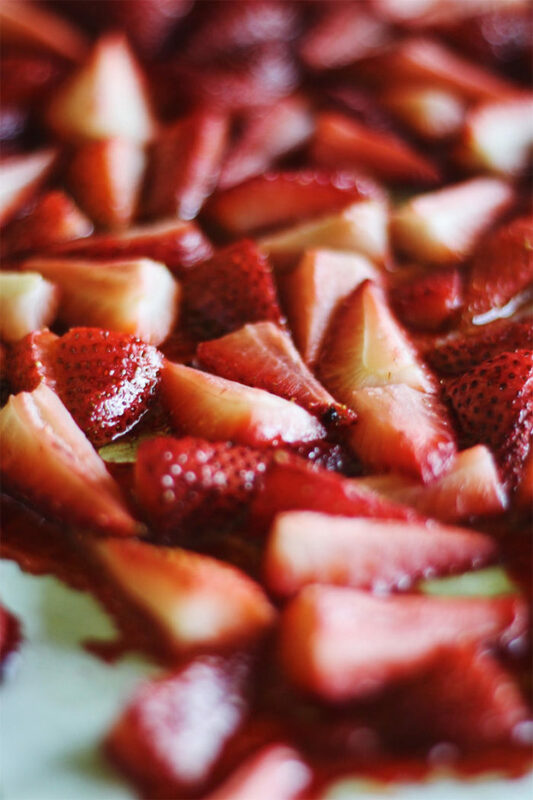 Strawberries get roasted in the oven with olive oil, a bit of sugar, and vanilla to draw out their sweetness and natural juices. A whipped crème fraîche adds just the right amount of tang to pair perfectly with the citrus and berries. 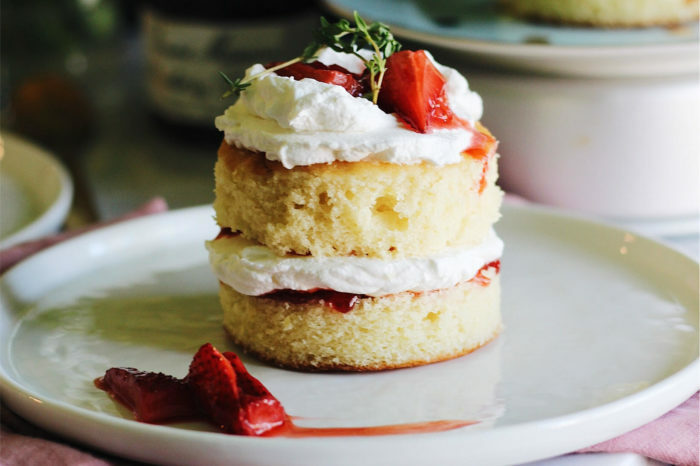 It’s a really lovely little cake that’s ideal for a Mother’s Day brunch. 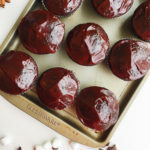 It isn’t too sweet, it’s individually portioned, and it’s seasonal. In between the layers is also a smear of strawberry preserves, which adds moistness in addition to even more intense strawberry flavor. 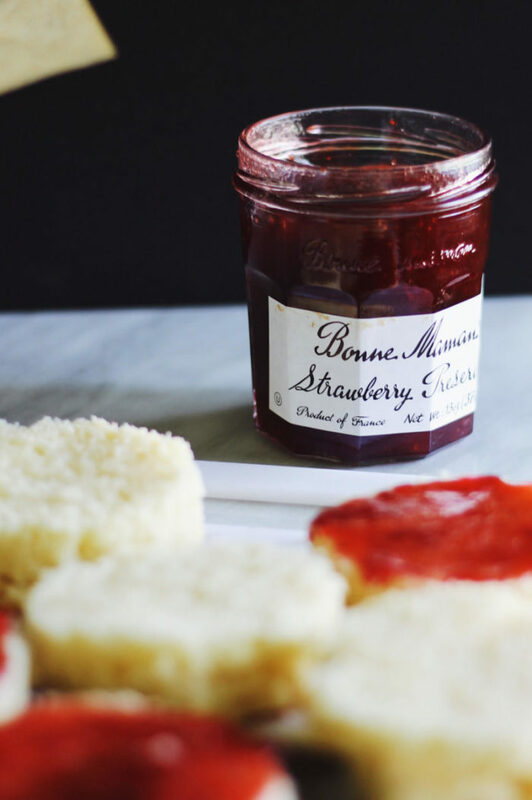 My go-to for preserves (when I don’t make it myself) is always Bonne Maman. It tastes as close to homemade as I have found, with quality, natural ingredients. It’s Non-GMO Project Verified and made without high-fructose corn syrup or additives of any kind. 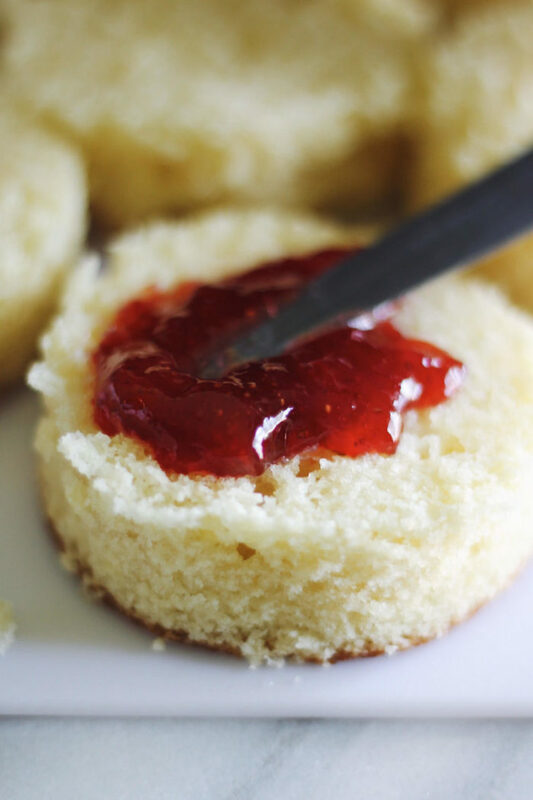 Buying preserves instead of making it saves a ton of time, especially for occasions such as Mother’s Day when you’re likely making a slew of other things. A lot of the components to these mini lemon cakes can be made ahead of time. The thyme syrup can be made up to a week ahead, and the whipped crème fraîche can be made the day before. Adding crème fraîche to whipped cream makes it much more stable. The cake can be made the day ahead. 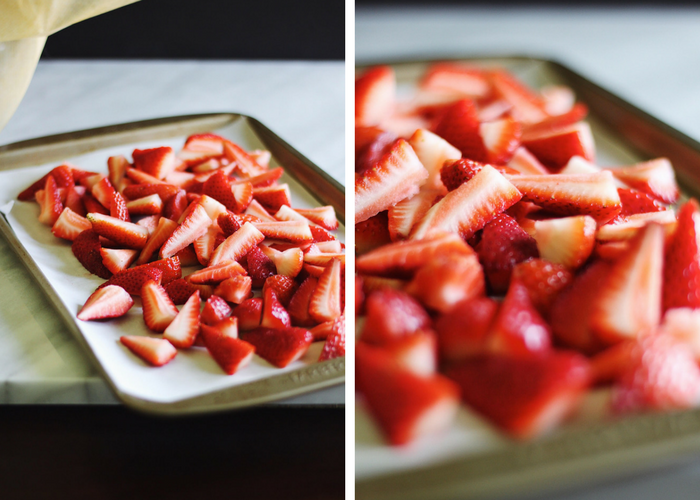 The roasted strawberries can even be made ahead of time, too. Although, I do like to make those just before assembling and serve those at room temperature. 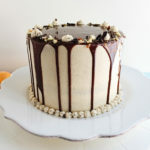 Presenting these cakes naked-style look just as pretty as an iced cake, but take a fraction of the time. 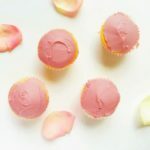 These mini lemon cakes are a Mother’s Day treat that surely any mom would enjoy. 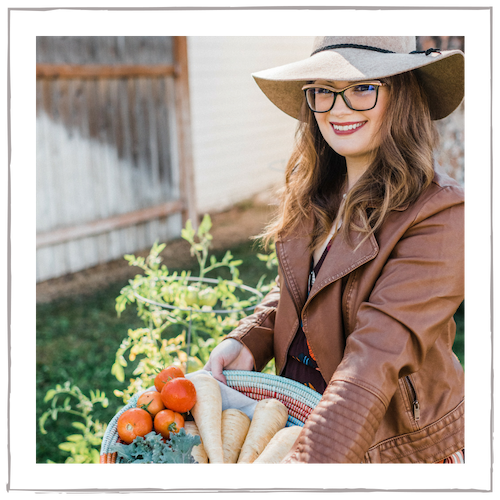 This post contains affiliate links but are always products I love + use myself! 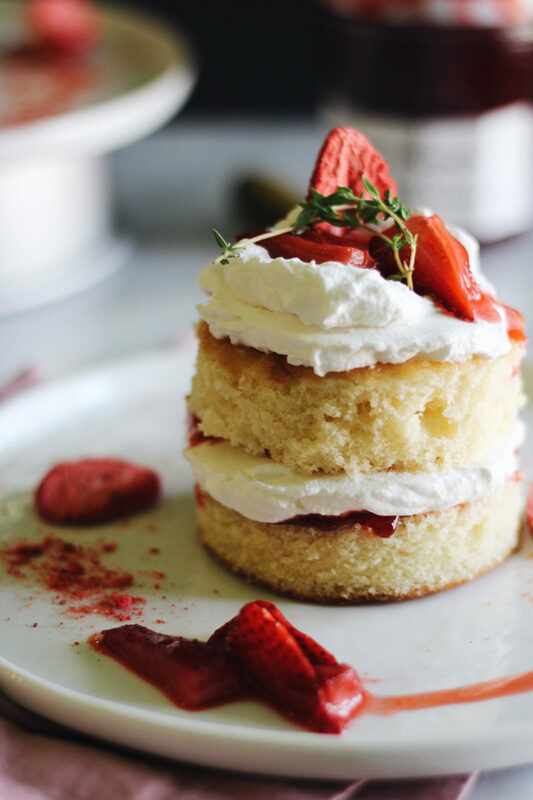 Lovely mini lemon cakes are infused with a fresh thyme syrup and layered with whipped crème fraîche and roasted strawberries. All of these components can be made ahead. 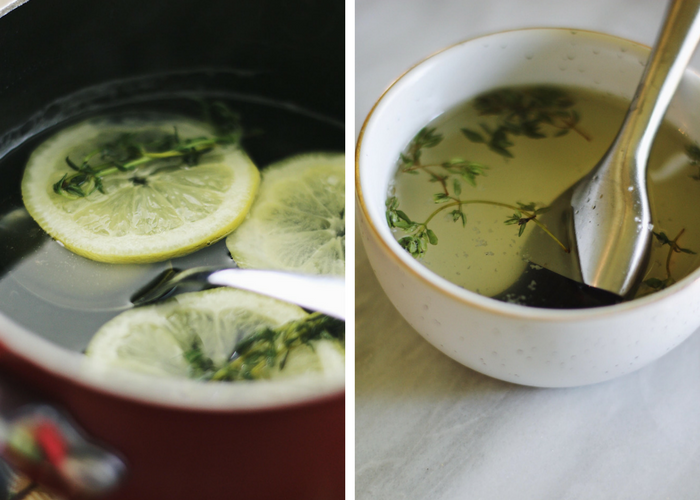 The thyme syrup can be made ahead and kept in the refrigerator for up to a week. The cake can be made the day ahead and kept refrigerated and tightly wrapped. 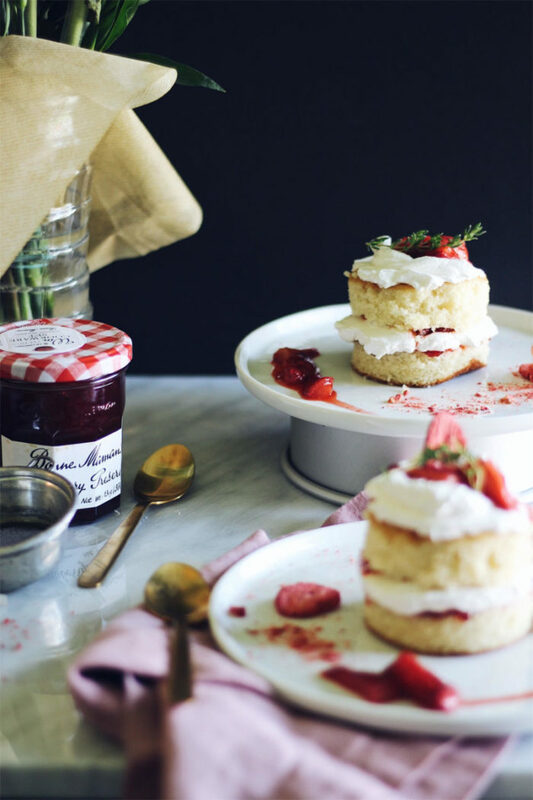 The whipped crème fraîche and roasted strawberries can be made the day ahead. I do suggest roasting the strawberries the day of and serving them at room temperature. Thank you to Bonne Maman for sponsoring this post! 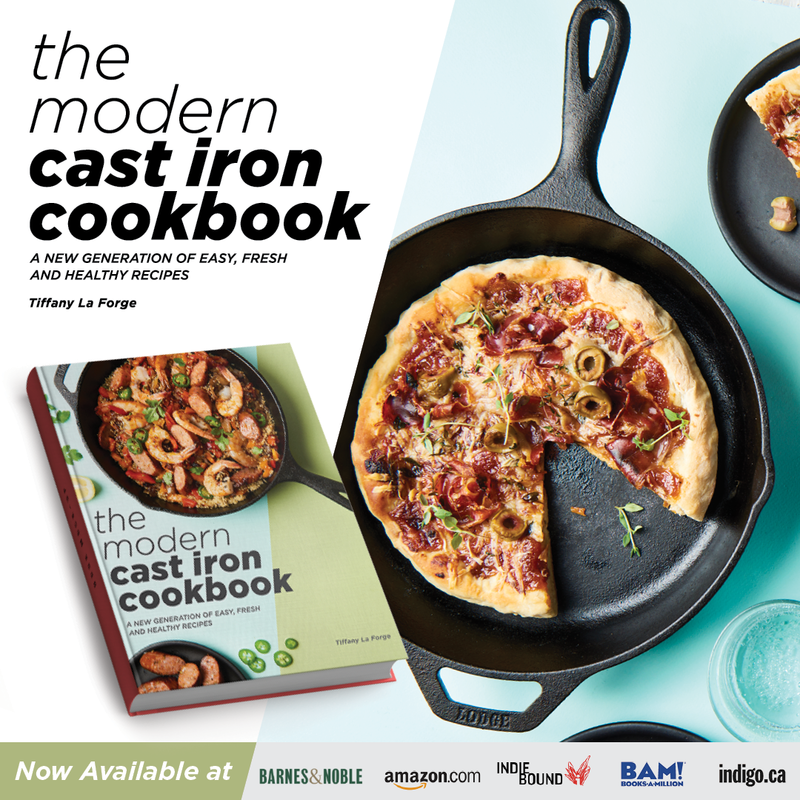 Be sure to click the banner above for a chance to win a 12-piece Le Creuset cookware set! Check out this recipe for Mother’s Day Strawberry Muffins to add to your Mother’s Day Brunch. 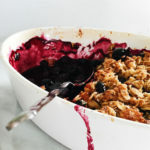 It’s a great way to use leftover crème fraîche and strawberry preserves! What are your Mother’s Day plans? Let me know in the comments below. 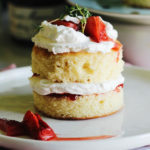 Hi Tiffany, I just love all the little components of this recipe, and the flavour combo of lemon, strawberries and thyme = genius! 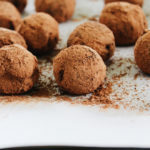 The recipe itself sounds intricate and fancy – likes something you would find at a high-end tea room or the like – but as you say, once you look at the actual recipe it is simple and easy which, for a less than competent baker such as myself, makes me want to make it even more. I’m working this weekend so, unfortunately, won’t have time to make it in the next fews days but, it is most definitely going on the “to-make” list when I’m feeling overconfident in the cake making areas of life. Awesome pictures too! ??? Wow! These look so delicious and you’re right, they are absolutely perfect for Mother’s Day! 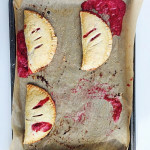 Looks like a great way to impress, so I’ll definitely be making these this Sunday! By the way, the website is really looking amazing! I love the new look!